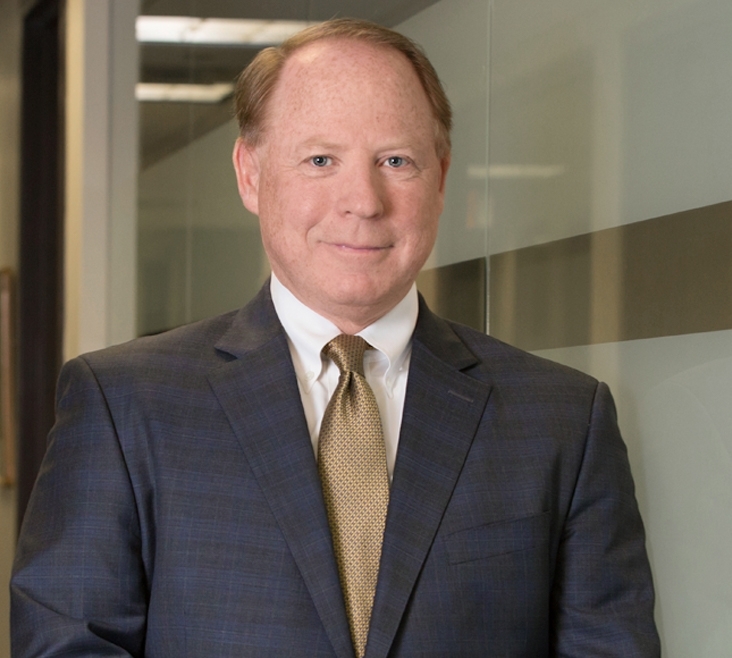 Harry McEnroe has extensive trial and appellate experience litigating complex matters in both state and federal courts. His clients have included international corporations and insurance companies, major non-profit organizations and commercial property owners/managers. Harry has been recognized by several attorney ranking organizations for his legal abilities and accomplishments. Chancery Court trial representation of defendant will contestants. Plaintiff (one of the decedent’s five grandchildren) attempted to probate a copy of an instrument granting him a 25% share of the $5-6 million dollar estate of his grandmother. Plaintiff presented trial testimony from two notaries and witnesses to the execution of the purported holographic will. Cross-examination of the decedent’s estate planning attorney undermined the legal validity of the document and raised evidence of suspicious circumstances surrounding the purported will. After a two-day bench trial, the presiding Chancery Division Judge granted our motion to dismiss, concluding that the will proponent was unable to establish a prima facie case of will validity. Our post-trial motion for an award of attorney’s fees paid out of the estate was granted. Trial representation of homeowner defendant in a residential premises liability matter wherein plaintiff sustained extensive injuries requiring cervical fusion surgery. Plaintiff had obtained a $400,000 arbitration award. There was a retrial of a prior trial wherein Appellate Division had reversed trial court’s dismissal of case due to the lack of a liability expert. See 2015 WL 1257944. Cross-examination of plaintiff revealed multiple inconsistences with respect to both her version of incident and medical history. Plaintiff’s medical experts acknowledged lack of complete information regarding prior medical history, all of which impacted plaintiff’s credibility. A defense engineering expert testified and opined regarding code compliance of a staircase with ceramic tile landing. No cause defense verdict obtained after four day jury trial. Representation of defendant specialty insurance broker in an action for malpractice brought by insured coin dealership. Dispute arose out of insurance carrier’s denial of a claim associated with the theft of rare coins from an unattended vehicle due to an applicable exclusion. Plaintiff claimed that broker had used deceptive practices in order to secure premium, and complaint did not specifically allege professional negligence or malpractice. Defense motion for summary judgment based upon failure to file an Affidavit of Merit was granted. Court rejected argument that “common knowledge” doctrine applied, and defense view that the essence of the claim involved a purported breach of professional standards adopted. Appellate Division affirmed dismissal after oral argument. See 2015 WL 7303448. Representation of a defendant vacation travel club in a putative class action claim filed in the U.S. District Court, District of New Jersey. Plaintiffs were allegedly pressured into buying worthless travel club memberships. Claims were based upon fraud and RICO violations. Numerous travel club defendants, both individuals and companies, were named. After document discovery was exchanged, all defendants moved to dismiss for failure to meet the heightened fraud pleading standard. After this application resulted in a District Court dismissal without prejudice, plaintiffs amended their complaint and provided more details and specificity. Defendants moved again for dismissal, on basis that plaintiffs had still not met the strict pleading standards associated with fraud and RICO claims. This resulted in a dismissal with prejudice of all claims. Upon appeal to the Third Circuit, the dismissal was affirmed as to our client, but was reversed as to all the other travel club defendants. The Third Circuit agreed that plaintiffs failed to “specifically allege” how our client had played a role in committing the predicate acts of fraud. The dismissal was vacated and remanded as to all the remaining travel club defendants. See 505 Fed. Appx. 107; 2012 WL 5928145. Representation of plaintiffs in a will contest regarding a multimillion-dollar estate. Extensive discovery was conducted, involving a period of over ten years, with thousands of pages of financial and medical records secured and analyzed. Multiple expert witnesses retained and deposed from accounting, medical and legal fields. Parties agreed to conduct a binding arbitration hearing before a retired Chief Justice of New Jersey Supreme Court. Extensive briefs were prepared and numerous motions were filed. An initial eleven-day arbitration hearing, wherein multiple witnesses testified, was held. After this hearing and extensive post-arbitration submissions were completed, the last will executed by the elderly decedent was found invalid due to undue influence. A second hearing was held with respect to another prior will, again with testimony from numerous witnesses. This will was also found invalid by the arbitrator. Finally, two other executed wills and inter vivos transfers totaling over $6 million were voided. These findings were confirmed by the presiding Chancery Judge after extensive motion practice and oral arguments. Our request for extensive attorney’s fees was granted and confirmed. Subsequent requests for ancillary relief, including additional attorney’s fees, issuance of a Writ of Attachment and imposition of a constructive trust, were also granted. Based upon the treble damages provision of applicable statute relating to destruction/waste of inheritance, judgment was entered in clients’ favor in the amount of $8.5 million. Initial appeal dismissed after oral argument as interlocutory. See 2014 WL 1281448. Multiple orders confirming arbitration award affirmed following appellate oral argument. See 2017 WL 1020583. Trial defense of driver in pedestrian fatality case. Accident occurred during evening hours in a commercial area. Decedent’s pain and suffering claims dismissed on motion based on lack of conscious pain and suffering. No cause verdict obtained after two-week jury trial, despite admission that driver did not observe intoxicated pedestrian cross the entire roadway in front of vehicle. Driver testified that he did not see victim until a split second before impact. Based upon witness testimony, defense accident reconstruction expert was not called as a trial witness. Strategy focused upon voluntary intoxification defense, as supported by autopsy findings, expert testimony and independent fact witness. Jury found decedent 80% at fault. Summary judgment obtained on behalf of lifesaving product (“EPIRB”) manufacturer in maritime/wrongful death action filed in federal court arising out of the sinking of a commercial fishing vessel and the deaths of all four crew members. Calamity became a focus of the book, The Sea’s Bitter Harvest. Established that alleged product defect was created by component part manufacturer after product had left client’s control. Plaintiffs’ damages claims previously minimized through motion ruling, made after a four-day evidential hearing, that the federal Death On The High Seas Act applied, thereby limiting recoverable damages. Plaintiffs’ interlocutory appeal of damages motion decision dismissed on jurisdictional grounds, based upon our argument, which was adopted by all defendants. See Estate of Hager v. Laurelton Welding Service, Inc., 124 Fed. Appx. 104, 2005 WL 375724 (3d Cir. 2005). Trial defense and no cause verdict obtained after a three-week jury trial despite a $350,000 arbitration award to plaintiff and clear evidence of liability. Client caused collision by pulling out into path of plaintiff’s vehicle, which had the right-of-way. $800,000 wage loss claim dismissed on pretrial motion. Due to her inconsistent and discredited testimony regarding prior medical and claim history, jury concluded that plaintiff’s injuries did not reach the appropriate threshold of permanency. Jury also found the plaintiff 30% at fault for accident. During cross-examination, treating chiropractor exposed as having submitted false treatment reports to plaintiff’s automobile insurance carrier. Trial representation with defense jury verdict in a motorcycle/auto accident case in which plaintiff claimed over $500,000 in business losses as a result of alleged inability to operate his company due to claimed psychiatric injuries. Economic losses documented by records of plaintiff’s computer servicing company. Six experts testified at trial, relating to both liability and several contested damages issues. Plaintiff had rejected both a sizeable pretrial and high/low trial settlement offers. Cross-examination of plaintiff’s experts revealed the exaggerated nature of the psychiatric disability and economic loss claims. Jury awarded no economic damages and only nominal personal injury damages. Trial defense of escalator manufacturer and maintenance contractor. Obtained dismissal of the complaint at trial after plaintiff’s proofs were presented in a negligent maintenance case arising out of an escalator accident in which the handrail had allegedly stopped abruptly. Dismissal was based upon the trial cross-examination of plaintiff’s engineering expert. Court found that the expert’s speculative and unsupported opinions were inadmissible “net opinions.” The Appellate Division decision upholding this ruling is a seminal decision concerning the admissibility of expert testimony. See Jimenez vs. GNOC, Corp., 286 N.J. Super. 533 (App. Div. ), certif. denied, 145 N.J. 374 (1996).